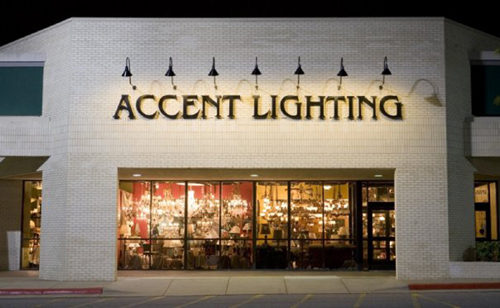 Accent Lighting in Wichita was founded in 1979, and over the years, it has become the largest lighting showroom in south central Kansas. Accent Lighting provides quality lighting for residential and commercial properties all across the United States, and we have a staff of lighting experts with a combined experience of more than 200 years. No matter what your lighting needs are, Accent Lighting can provide an exceptional product selection, as well as layout and design services. Accent Lighting is much more than just lighting fixtures. We also carry extensive brands of home accessories, accent furniture, prints, and mirrors, which is all shown in our easy-to-shop 6,700 square-foot showroom. Call or come by today and let Accent Lighting help you solve all your lighting needs!